This was one of the first VHS transfers I ever did, years ago, still looks great even today. heh.. no problem.. email sent. I just picked up the 1994 NTSC laserdisc, which claims to have more footage than HBO originally aired. I'll take a break from Photoshopping storyboards for Ghostbusters: Ectoplasmic Residue this weekend and get this on DVD. How long is the laserdisc? I seem to recall something about it being cut when shown on tv but the video release was uncut, my copy is 70 mins. ooooh.. keep us in the loop! Does anyone know what format it was originally recorded in? I'd assume it was recorded in NTSC format but I've looked very closely at the PAL VHS I have and I can't see any of the signs of NTSC to PAL conversion, it's interlaced and there's no juddering or the half-framing effects of framerate conversion, so either it was recorded in PAL or they had some damn excellent conversion process happening. i want to say it was in NTSC, since it was filmed in DC for HBO. but who knows. to watch my HBO recording CONSTANTLY, so i quickly tired of the concert, but its a classic. Yeah.. I have no idea why they haven't released it on DVD??!! I thought when they released RAW on dvd, they'd release it then, not sure why they didn't. BTW... I went to see Eddie Murphy when he was doing the RAW tour (in Richmond, VA). It was soooo freakin' funny! The Richmond concert was MUCH better than the actual recorded concert!! BTW... I also have the Best of Eddie Murphy on LD. They did release a "best of" Eddie Murphy on DVD, but it's not the same as the Laserdisc/VHS release. Most of the skits were the same, but there are some different skits that are not on the DVD release. be considered 'politcally incorrect' these days. his would sell a few more copies than RAW. That's correct. Eddie holds the rights now and apparently wants to downplay his past raunchier humor in favor of the more family-friendly Eddie that's been making films like Dr. Doolittle and Haunted Mansion for the last decade. It's a shame he's turned his back on the personality/humor that made him so famous to begin with. 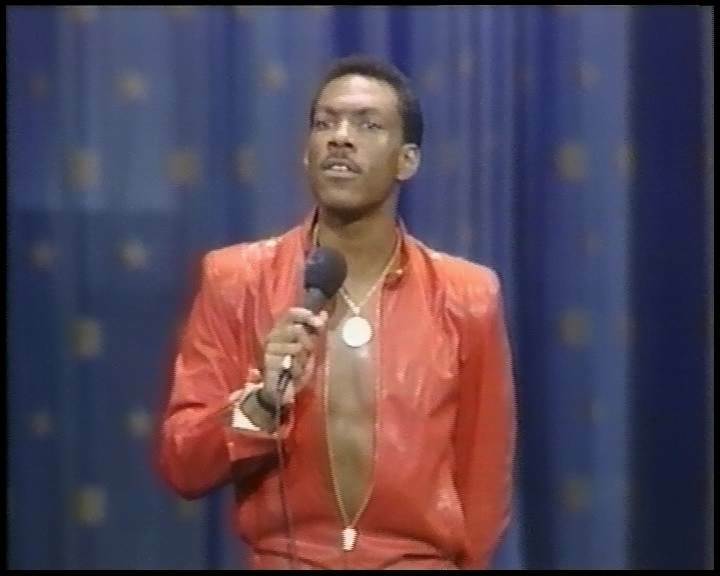 I miss the Eddie Murphy of 48 Hours and Beverly Hills Cop and his brief run on SNL. If this is true, that's the most ridiculous thing I've ever heard! This is what put Eddie Murphy on the map!! Every Eddie Murphy fan that I know are fans because of things like Delirious, 48 Hours, Trading Places, B.H. Cop, etc., not movies like Daddy Daycare, Haunted Mansion, etc. routine. The man is a lot older, not a 21 year old who did that standup routine. their earlier material. Happens with bands as well. I've got a copy of this which I think is sourced from Laserdisc, but I can't be certain, however the picture and sound are very good if anyone's interested. Ditto, mine is from Laser as well. buddy of mine did the xfer himself.